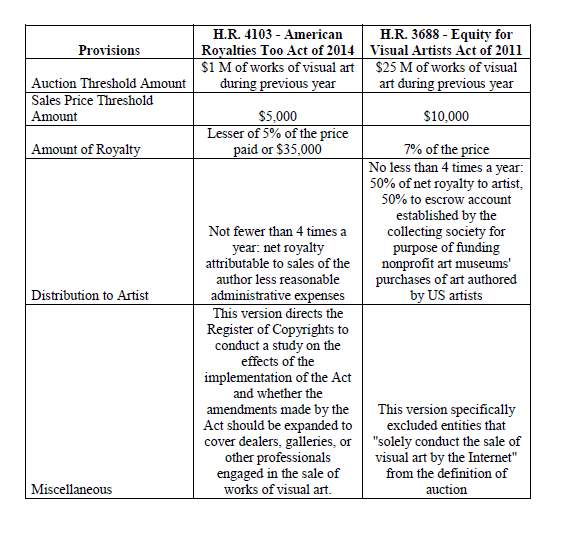 Twice in the last four years, a bill has been filed to adopt what is known as droit de suite, or resale royalty, in which an artist would be entitled under certain circumstances to a royalty on sales after the initial one. The most common justifications for these bills relate to fairness and uniformity. As to the first, many artists’ works do not become valuable until later in their careers, long after the works had been sold first. These artists, the argument goes, should share in the benefit of their increased regard. 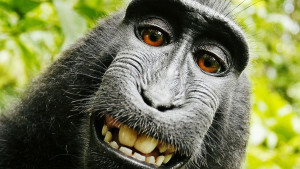 The uniformity argument has to do with droit de suite in other countries, though that is hardly a clear picture and many residents of those countries object to what they say is the effect on their local markets. Although there are no definitive signs yet of likely change, the question of secondary royalties for visual artists remains far from resolved. The most comprehensive effort to date, the California Resale Royalties Act was declared unconstitutional in 2012 by the U.S. District Court for the Central District of California, in lawsuit brought by Chuck Close and others against Christie’s, eBay, and Sotheby’s. That decision is on appeal in the Ninth Circuit.